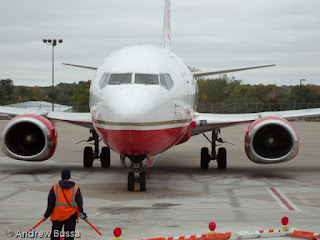 The Boeing 737 MAX aircraft are a tweak of the previous version. They are quieter and more efficient, but still the same basic design (just lengthened tube) from before I was born. The new model is also selling well. That's too bad for passengers. Boeing needs a sales flop before they will take out a blank sheet of paper. The 737 is cramped and a fresh design would be more comfortable for passengers.